As part of the academic program of the I International Scientific Convention of the “Marta Abreu” Central University of Las Villas (UCLV), Ramón Labañino, Hero of the Republic of Cuba, gave a keynote address today and spoke to those present about the main challenges of updating the Cuban economic model. 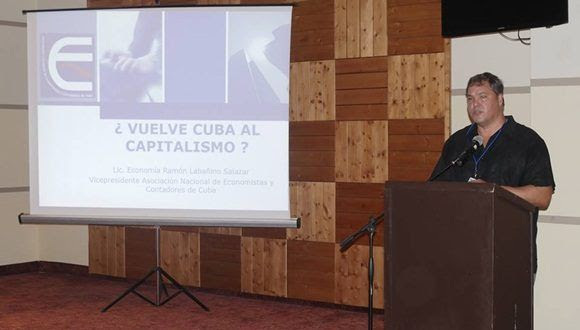 With a title as controversial as “Is Cuba returning to Capitalism?”, the Vice-President of the National Association of Economists and Accountants of Cuba, presented in his dissertation the main characteristics of the national context. He discussed the need to understand the changes made in the island as a way of working to ensure a better standard of living and an equitable and fair benefit for all citizens of the nation. He also referred to the importance of preserving the policy of a single party against alternatives aimed at dismantling that idea. 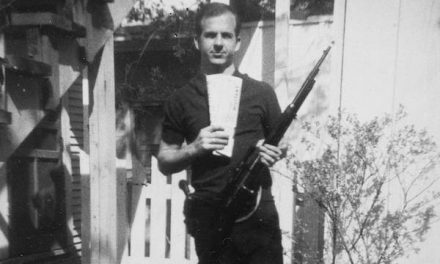 He advocated confronting imperialism’s cultural war with intelligence and a critical sense. 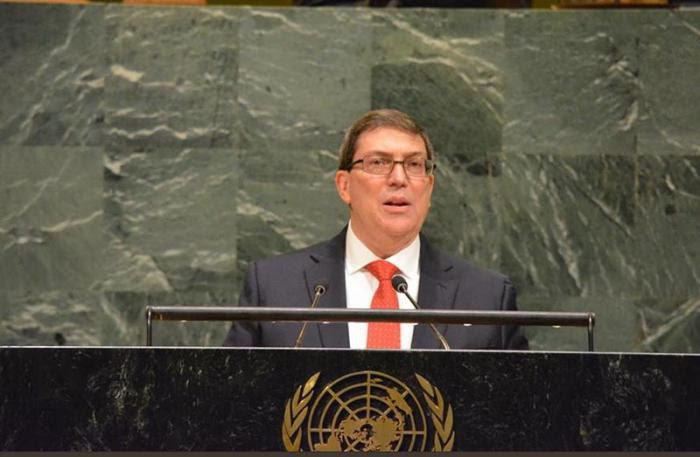 Issues such as dual currency, the role of the press in the country, non-agricultural cooperatives, work in the agricultural sector, the development of the labor force in the public and private sectors and the need to increase labor productivity in all the areas of the country as a basic rule to achieve an effective growth of the Cuban economy, were also among the main issues discussed between the Hero and the delegates gathered to hear it. Regarding the new economic figures that emerged in the heat of the changes implemented in the Cuban economy, Ramón spoke about their importance to free the state from the unnecessary wear and tear of controlling small spheres, but warned of the importance of carrying them out so that their income also plays a key role in the development of society. “What we transfer to private hands is not property, but the management of social property,” he summarized. Similarly, Labañino discussed the relevance of the main transformations to the economic, political and social model of the country. He defended the idea of ​​that these changes are essential for survival as a nation, but always for the sake of maintaining our social achievements . 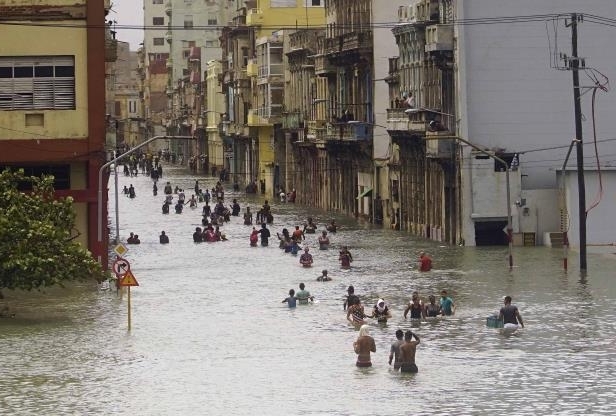 “In a highly democratic process, the greatest news was consulted with the majority of Cubans, because one of our great strengths is that the measures applied are based on all citizens, especially the defnese of the most underprivileged. Although we want a greater speed in implementation, sometimes we must stop, rectify what is wrong and move forward, because we can not afford to make mistakes and waste the scarce resources at our disposal,” he said. Translated and edited by Walter Lippmann for CubaNews. Thanks to Walter Tillow for bringing this to my attention. Thanks to Emile Schepers for assistance with the translation. He caught mistakes and made suggestions to fix them. “Bridge of Spies” or the End of a CIA Operation?